Jeff Dunn was appointed Commissioner of the Alabama Department of Corrections (ADOC) on April 1, 2015, after serving 28 rewarding years in the United States Air Force and retiring at the rank of Colonel. 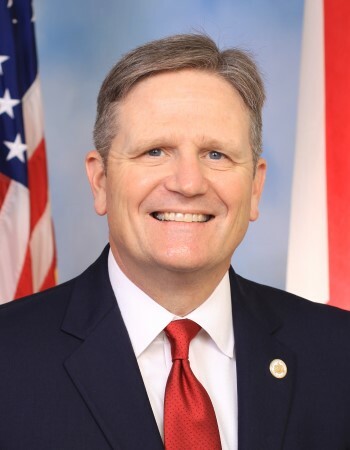 Commissioner Dunn leads Alabama’s largest law enforcement agency, managing an inmate population of more than 20,000 offenders in 26 correctional institutions; employs a workforce of over 3,300 correctional officers, correctional supervisors and support staff; and operates on an annual budget exceeding $500 million. Commissioner Dunn’s vision for the department is embodied in four strategic focus areas: staffing, infrastructure, programming, and culture. The staffing focus area addresses the hiring, training, developing, and retaining of the ADOC’s most valuable resource - its people. The infrastructure focus area recognizes the important role adequate facilities play in building a positive work environment and in ensuring the ADOC’s mission to safely and securely confine and rehabilitate offenders is carried out. A renewed focus on programming results in treatment, vocational, and educational opportunities needed to better serve the inmate population during incarceration while also resulting in lower recidivism and increased opportunities for inmate success upon release. Finally, a healthy department culture provides the firm foundation upon which the other three focus areas rest and is essential for the ADOC to best protect and serve the citizens of Alabama. In addition to advocating for this vision, Commissioner Dunn has established an Inspector General Division to improve operational readiness, built an Anti-Corruption Task Force to promote public accountability throughout the ADOC, created the Alabama Correctional Leadership Academy to provide leadership and professional development, and obtained federal PREA compliance in all ADOC institutions to include the Julia Tutwiler Prison for Women, a nationally recognized model for the effective management of female inmates. Commissioner Dunn is a graduate of Birmingham Southern College where he earned a degree in English and a commission through the Air Force Reserve Officer Training Corps. He holds a Master of Arts in Non-Profit Management from Regent University, a Master of Science in Transportation & Logistics from the Air Force Institute of Technology and dual Masters in Operational Design and Strategic Studies from the Air University, Maxwell AFB AL. He and his wife, Susan, have been married for 32 years and have two grown children, Shaw and Morgan. They reside in Montgomery, Alabama.